Compass & Coffee Spoons: Happy Martin Luther King Day! Well, it's 6:54 am and I am getting ready for work. For those of you with the day off, enjoy it, and if you're planning on participating in the day of service, good for you! It's a fitting tribute for a man who truly gave his life for bettering the lives of others. Of course, serving year-round is also important. I was a little disturbed to discover that in many parts of the country (i.e. the south), King shares the holiday with...Robert E. Lee. Or confederate soldiers. Um, could you be any more obviously racist? Seriously. I don't know why I'm surprised, but I couldn't help but laugh about it because of how pathetic it is. Tomorrow, the country will take another step toward King's vision of equality when Barak Obama is sworn in as President of the United States. The concert yesterday went well, and there was a definite vibe of hope and inspiration. I'm praying tomorrow goes as smoothly. 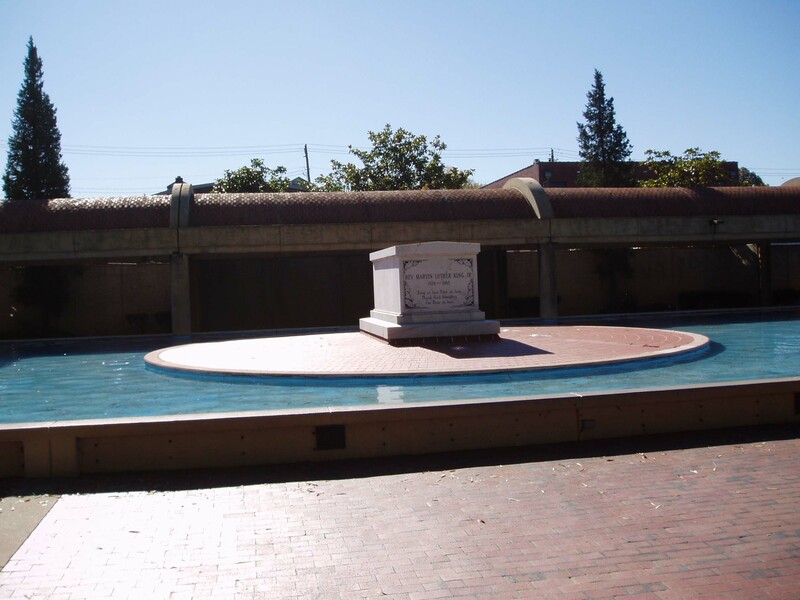 The picture above is King's gravesite in Atlanta. I took that during a work trip. You can see that I've tested out the mobile Typepad in my first Inauguration post...it's not without glitches! Also, I'll be doing a catch-up post sometime soon!!! Stay tuned!